3mind Blight drives with a gritty, perfectly expressive leading voice on this single Rag Doll. The sound falls somewhere between Nine Inch Nails and Rob Zombie, with a flicker of Papa Roach for good measure. On the other hand, vocal tones aside, the song has been set-up in an electronic rock manner. The ambiance has a distorted feel, but nothing screams out too intensely – there’s no huge drop or moment where the speakers might reach their peak. What you do get, however, is one or two key characteristics – riffs and details in the production, which add effectively to the song’s inherent sense of identity and depth. 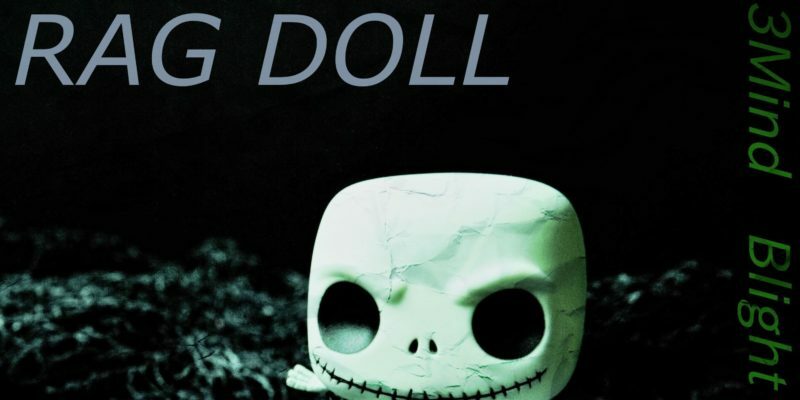 Rag Doll is a track with an appealing sound from the offset – if you’re a fan of the likes of Trent Reznor or the generally thicker, alternative sounds of the 90s. As it progresses, the hook hits with intrigue and a subtle sort of power. At under three minutes long, the whole thing takes place and is over before you really get chance to consider it, and yet, contradicting that idea – a whole lot seems to take place in this short time. The introduction has a haunting, multi-layered feel to it – dramatic and unsettling. The leading voice that follows, and indeed the lyrics, paint a picture of further mystery and angst. It’s here where things really stand tall – the verses hold the key to the song’s success, in my opinion. There’s this haunting, meandering riff in the back drop, and the vocal line itself offers short, rising then falling lines, snippets of ideas, a list – almost – and this appears familiar and satisfying, easy to absorb; even a little nostalgic. Then you get to the hook, the title and the underlying concept take the reins – the song is about the character himself, which opens the lyrics up even more so; it makes you interested, perhaps likely to feel a connection to the artist or his ideas. The second time you hear this, that opening piano riff has an immediately recognizable presence. Soon after, this classic hard rock meets grunge vibe emerges, and the whole thing utilises its short life span to weave a compelling soundscape around you. Well worth a look. Download or stream the song here. Find & follow 3mind Blight on Soundcloud & Facebook.